During the days which comprise the first week of the Great Fast (which is called Clean Week) in the monasteries there are readings from the first book of the Sacred Scriptures, the book of Genesis. One can see there the great wisdom and love with which our good God made the world and He placed man there to make him to rejoice and for him to care for this world, while glorifying ceaselessly his Creator. 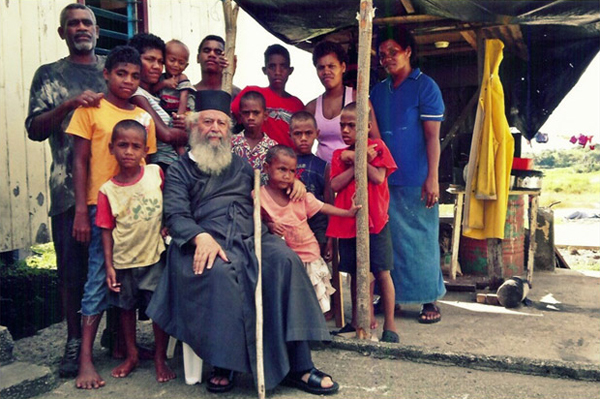 These days we find ourselves keeping a similar practice in the town of Saweni here in the Fiji Islands. We are making an extraordinary effort until the image of the Sacred Monastery of the Dormition of the Theotokos is completed, as well as in the surrounding areas and especially in the chapel, which will also be the parish church until, a little further over, the regular church of the Holy Trinity is built with the Orphanage and the School. Fiji is a compilation of about three hundred islands in the Southeastern Pacific Ocean with about 800,000 inhabitants. The two largest islands are called Viti Levu and Venua Levu. On the first island there are three major cities; the capital Suva which has a large natural seaport and an airport. Lautoka which also has a large natural seaport and Nadi which has a smaller seaport excavated especially for tourism purposes and the International Airport. All the islands are verdant with beautiful beaches and mountains from which race large rivers and rushing waterfalls. The tropical, warm, climate and abundant rains are factors which make the land, here, fertile and productive. The mountains are covered with forests and cultivated fields of sugar cane, bananas, papaya, mangoes and other trees and exotic multicoloured flowers. The cities are interconnected by roads laid with asphalt, as well as small trains. These trains are chiefly for the transportation of sugar cane to Lautoka where there is a large processing plant which produces the wonderful dark and healthful sugar. The smaller islands are linked to the larger ones by small airplanes and boats. 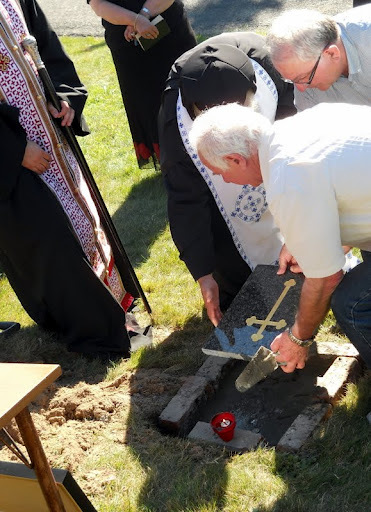 On Lazarus Saturday, 7 April, 2012, His Eminence Metropolitan Amfilochios, our beloved Chief Shepherd, placed the foundation stone for the Raising of the Sacred Naos named in honour of Righteous St. Lazarus, Who was Four-Days Dead, within the new cemetery “Makara” and more specifically in the area which was given by the New Zealand State to the Greek Orthodox Community. 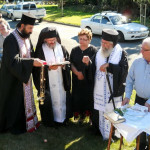 The Raising of the this Sacred Naos was the vision of the first Metropolitan of New Zealand, His Eminence Dionysios of Blessed Memory, and it was approved and supported by His successor, His Eminence Joseph, who is the present Metropolitan of Proikonisos, and it is bring brought to fulfilment by our beloved Chief Shepherd, His Eminence Metropolitan Amfilochios. The Greeks of New Zealand accepted the responsibility for the raising of this Sacred Naos. “This present new cemetery is named after the New Zealand city ‘Makara,’ a word which has come from the Mauri language. Without a doubt this word is a Greek word, a root word from which are derived the words: makarios, makaria, makariotis, and other such words (meaning blessed, and happy). 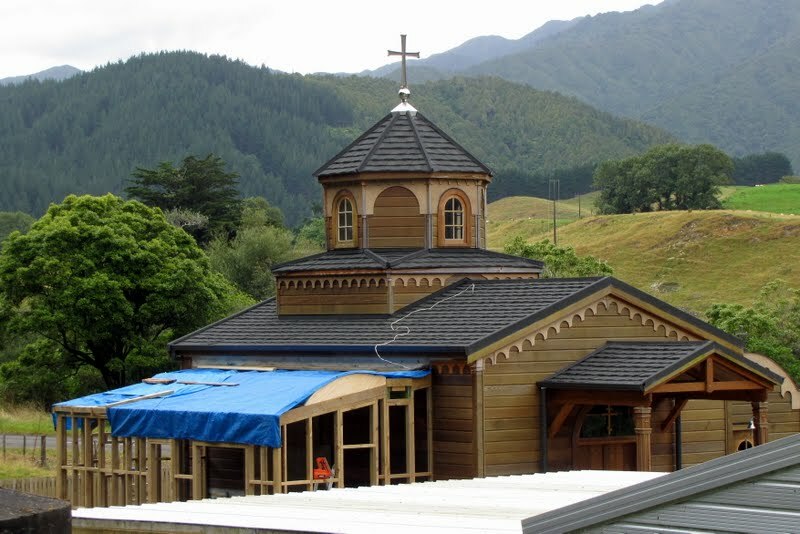 Copyright © 2012 Holy Archdiocese of New Zealand. All Rights Reserved.